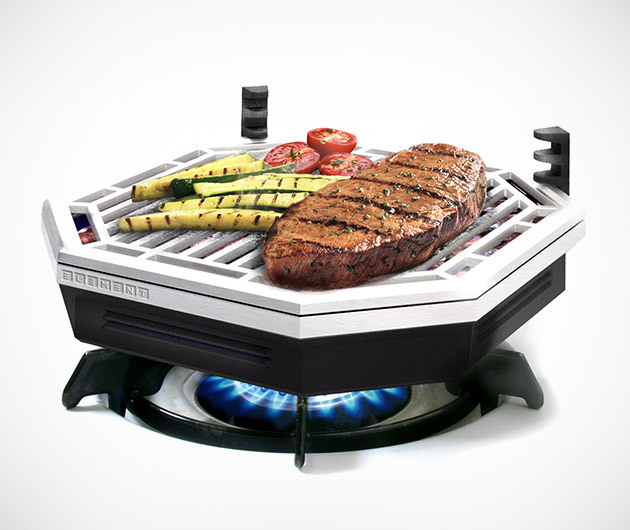 Bring convenient barbecuing right inside your home. The BrassÉ Indoor Element Smokeless BBQ uses the gas or electrical heating elements from your stove to heat lava rocks, creating the BBQ flavor without filling your home with smoke. The Element BBQ includes an adjustable height grill, removable handle, and a section to catch and remove grease for easy clean-up.